The traditional design of the orange pumpkin with the scary carvings is synonymous to Halloween. 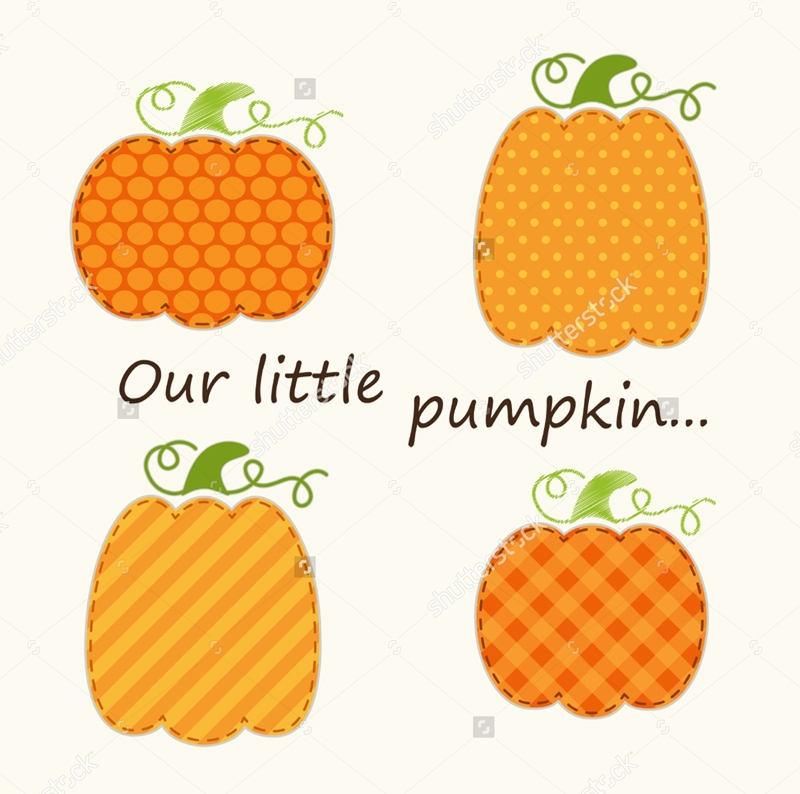 Pumpkins though, come into a variety of sizes and colors giving a multitude of options for someone to use on their projects like web design, brochures and even banners. For a deeper insight, we are presenting you a collection of pumpkin designs that will help you create amazing designs. 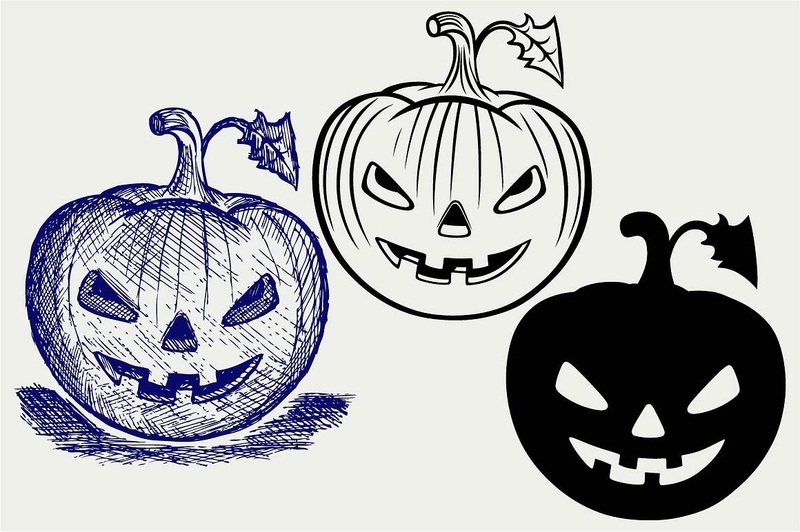 Choose the right pumpkin template for a Halloween web design project. Pumpkins with various faces that go from fun to scary will help you set the mood for the audience. You can find numerous templates in eps and jpg formats. Curved pumpkins add a Halloween feeling to every project. Find different designs in eps and psd formats with layered properties for easy customization. 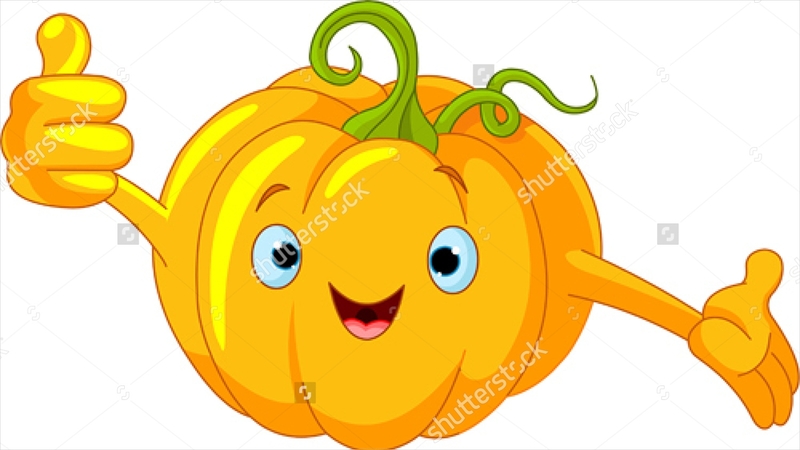 You can use a cartoon design of curved pumpkins that are suitable for greeting cards or brochures. Textured backgrounds are creative and give a new feeling to the way things look. 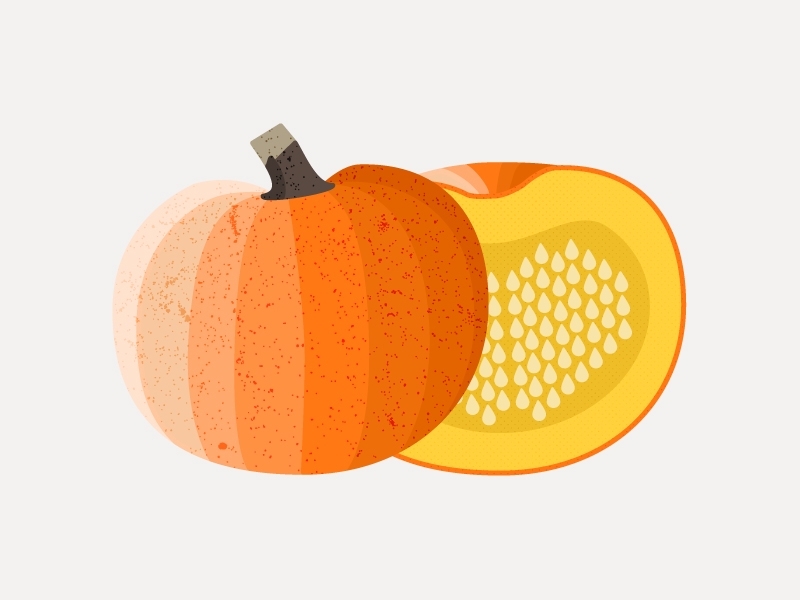 With a pumpkin texture you can create appealing projects for Halloween. You can get textures in jpg format that you can edit to fit your needs. 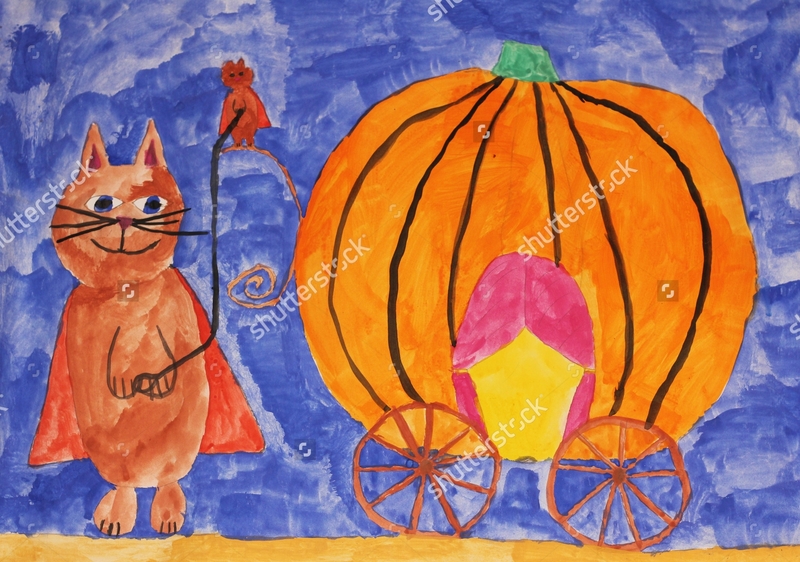 Illustrations of pumpkin paintings give a romantic and classic ambience to any project. 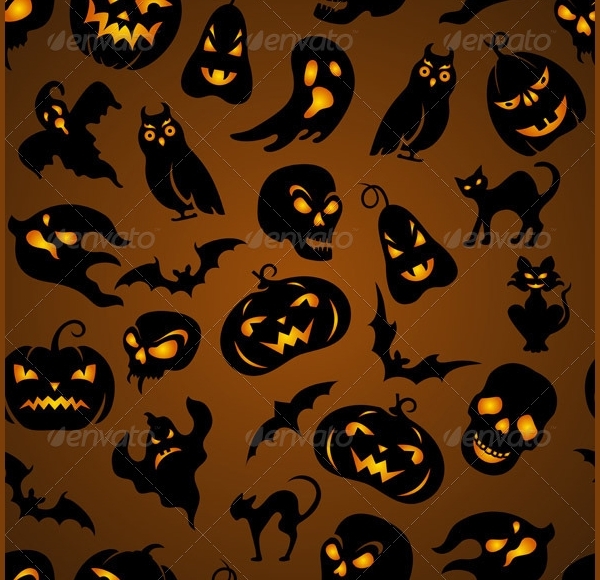 You can use it for web designs, greeting cards or invitations related to Halloween. Watercolors tend to look softer so you should consider it for your projects. Find pumpkin drawings in black and white for effect. Designs with pumpkins can be used in web designs, brochures and even for fliers setting a scary and festive atmosphere for the audience. Editable files are easier to use in projects. 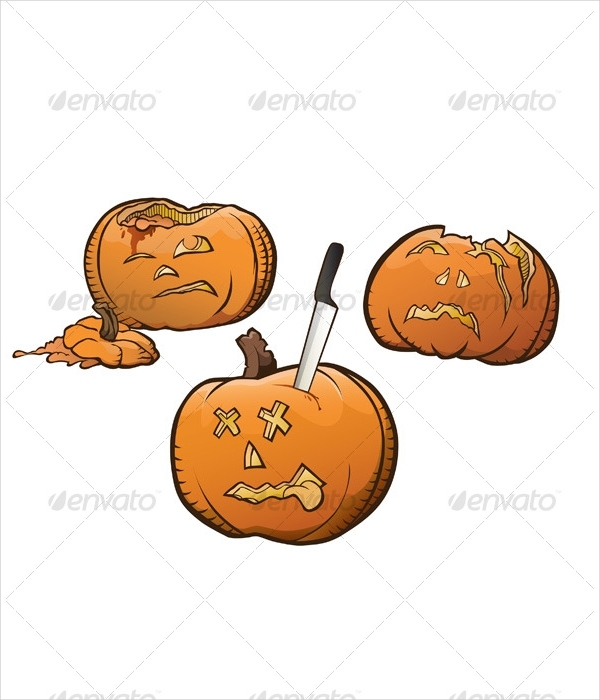 In case you want a printable design of Halloween pumpkins then you should consider getting a pack of different ones to mix things up. You can find many designs that are ready to print in jpg and png format files. For a more scary effect you can use skull pumpkin designs. These are sure to attract your audience during Halloween days. You can use them in web designs, brochures and fliers. An editable design allows for easy and faster customization. 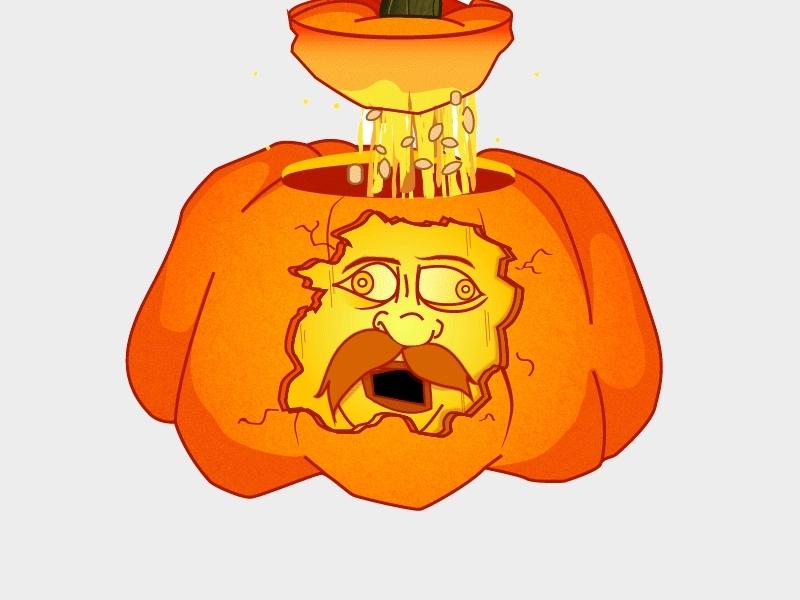 You can get your own set of Halloween emojis with pumpkin faces. Find these templates in packs of fully editable files that you can use in printable projects as well as web designs. You can get them in various colors. All traditional designs require curved pumpkins with gauntly triangle eyes and scary looking mouths. You can use these designs for brochures, web designs and party invitations. Get the files in eps and psd format with layered properties for easier customization. Get a set of funny Halloween pumpkin designs and get ready for projects full of fun and creativity. Funny patterns, hilarious carvings as well as crazy colors can give you amazing results for web sites, party invitations and greeting cards. Pumpkins are widely used for Halloween decorations. In graphic design the use of visual elements is very important. The first thing that everyone notices when they look at something it’s the appearance. Pictures and backgrounds are your closest ally for a successful project. For web design, you can use illustrations for background. 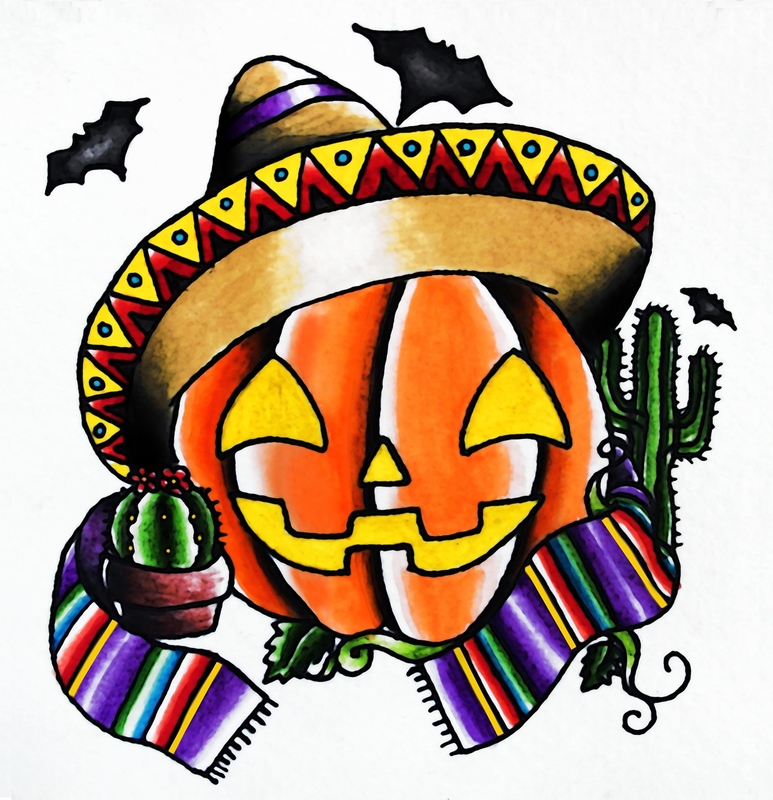 Pumpkin designs will help your project be up to date with the current events. Additionally these designs can be used in brochures and fliers to advertise upcoming events related to the Halloween. 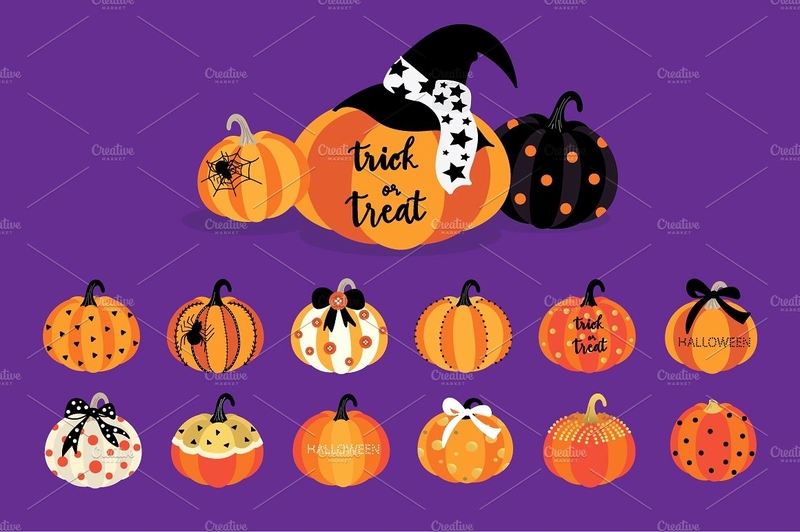 For online commerce, you can create banners or email promotions to advertise your goods using interesting pumpkin designs that will draw your audience’s attention. Pumpkins are also a great idea to use for logo designs. A good and well made design will help you achieve your project’s goals. So take your time and go through the various graphic pumpkin designs that are available for every use. The variety of pumpkin designs is going to leave you speechless. You can go with a certain theme or you can use a mix and match of pumpkins that will take every project to the next level. So get ready to welcome every “trick or treat” with these amazing designs.